The proliferation of resource nationalism in the Caspian Sea littoral states is often perceived as a risk - but should it be considered an opportunity? The impact of globalisation has triggered increased interaction between members of the international system. This in turn has presented new areas for economic development and partnerships as well as provided numerous opportunities for potentially lucrative business ventures. In this aspect the natural resource sector has generated significant interest as it maintains connotations of substantial capital gains. However, associated issues that arise from the sales of natural resources include those of management, ownership and rights. EIA estimates that in 2012 there were 48 Bbo and 292 Tcfg proved and probable reserves within the basins of the Caspian Sea and surrounding area. (Source: NASA) Resource nationalism has been used to engage such issues. Having no set definition, it has been described in a number of ways, most commonly simply as when governments and/or ethnic groups lay claim to natural resources located within their territory for the purposes of ownership and control (Overland, et al., 2010). It also frequently involves governments implementing policies and using private players in order to increase control over the natural resources. Given such an understanding of resource nationalism, a number of fears have been generated by members of the international system, particularly over the uncertainty of what a host country would do with its natural resource sector when engaging investors. For example, would foreign investments in the extraction of natural resources be affected in a manner that would negatively influence operations; would there be revisions to pre-existing production sharing agreements (PSAs); or would the monetary return from the sale of natural resources generated from operations drop? Essentially, the exertion of a higher degree of control over natural resources by a host country in a situation where it was previously absent, or at least less rigorous, has created an environment that has come to be perceived as risky. Hence, resource nationalism has been ranked as one of the top risks of the system of internationalism. Regardless of the perceived risks accompanying resource nationalism, the natural resource sector is still nonetheless a desirable area for business. Encountering ripe opportunities for the extraction and sale of natural resources can be found across the world, with an additional increase in accessible avenues following the collapse of the Soviet Union. Areas previously unavailable to the greater international system opened to an enormous client base demanding access to its resources. The close geographic proximity to Western Europe provided a prodigious set of mutually beneficial opportunities, providing reliable banking and legal infrastructure as well as the technology needed for extraction along with the ability to develop associated services for the sector. On a globalised level, opportunities and potential were further magnified with even greater access to international markets like the US. The Caspian Sea region in particular has generated worldwide attraction with its enticing abundance and diversity of natural resources such as metals, minerals and hydrocarbons. The Caspian Sea littoral states of Azerbaijan, Iran, Kazakhstan, Russia and Turkmenistan have all utilised resource nationalism to varying degrees and in different ways with regard to oil and gas. A particularly fascinating case study is Azerbaijan. The country has an extensive history of resource nationalism stretching over a century across various political systems. 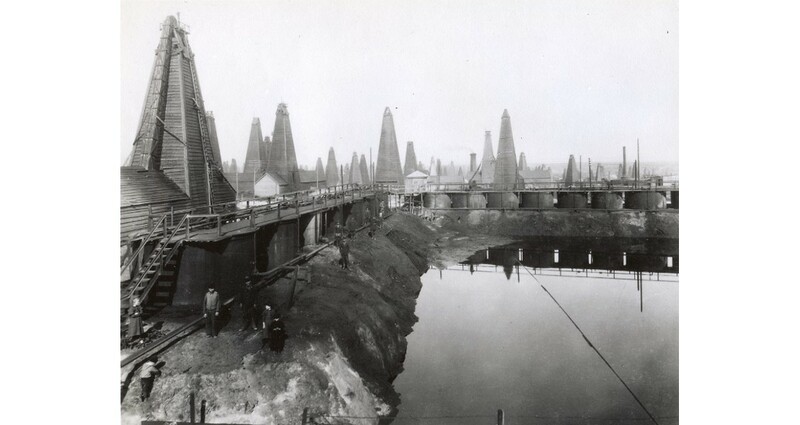 During Imperial Russian rule, oil was extracted in Baku and multiple pipelines were constructed linking the Caspian Sea city to the greater Caucasus region and the Black Sea (Akiner, 2004). 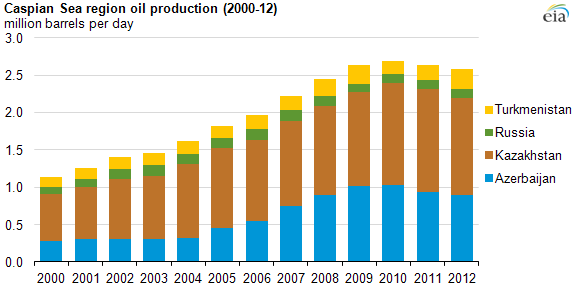 By 1895, oil output from Baku accounted for nearly half of daily global production. Although Azeri and international oil magnates operated in Baku (see, An Oil Pioneer), resource nationalism was personified by the Tsar and the materials were effectively his property, albeit with foreign investment having shares in operations and profits. Distribution of wealth and management of funds were through the Romanovs. In 1918, the Azerbaijan Democratic Republic gained independence from the Russian Empire following the aftermath of World War I. By this time oil from the Caspian region, with Baku as one of the centres, had become increasingly coveted and was viewed as a means to generate funds as well as provide strategic energy supplies (Akiner, 2004). Independence was therefore short-lived as in 1920 the Red Army invasion of Azerbaijan succeeding in co-opting the area into the Soviet Union (Karagiannis, 2002). The Azerbaijani Soviet Socialist Republic fell under a socialist system in which all companies were nationalised, and all natural resources, including hydrocarbons, were property of the state. However, following the dissolution of the Soviet Union, an independent Azerbaijan once again emerged, with a strikingly contrasting usage of resource nationalism to its former socialist model. Oil and gas matters of the country were now being represented through an NOC (Gojayev, 2010), the State Oil Company of Azerbaijan Republic (SOCAR). Dr. Nadir Gohari is the President & CEO of Global Risk Intelligence (www.globalriskintelligence.org), a consultancy and think tank in London, United Kingdom and Washington, D.C., United States of America. He earned his doctorate in Government and International Affairs from Durham University. This lack of haste in developing lucrative business ventures is a commonly observed behavioural trait exhibited by states utilising resource nationalism. The state perspective is that the materials over time will become more valuable, therefore an urgency to sign deals is not prioritised. This is particularly relevant when deals are perceived as benefiting foreign companies rather than domestic ones. Hence, states are more inclined to examine and initiate better deals for themselves rather than agree to or remain with deals perceived as imbalanced or unbeneficial to the host country. Other Caspian littoral states have similarly exercised resource nationalism with an omnipresent proliferation of the concept. One indicator is the presence of NOCs as a defining feature of resource nationalism. Iran maintains the National Iranian Oil Company, while Kazakhstan operates KazMunayGaz (Kennedy and Nurmakov, 2010). Russia sustains a different interpretation of resource nationalism that manifests as an oligarchical system of oil companies which, although privatised, share an intimate relationship with the state. Finally, Turkmenistan announced in early 2016 its intention to create its first NOC, and later in the year the Turkmen National Oil and Gas Company was formed. 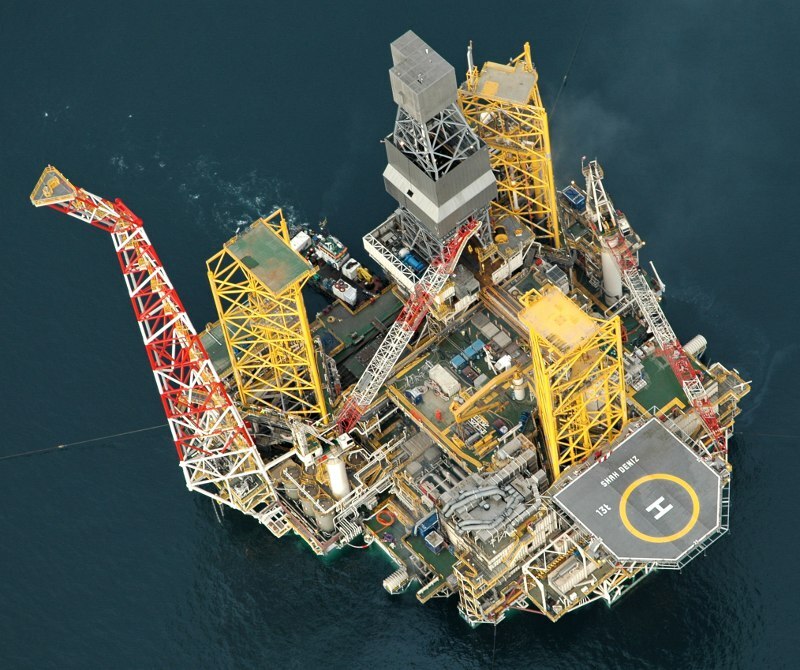 The Shah Deniz platform in Azerbaijani waters. (Source: BP) It is important to note that none of the Caspian littoral countries possesses an identical model or interpretation of resource nationalism. Indeed, some countries have a longer history of experience and interaction with the concept than others. Moreover, while there have been economic successes in some countries due to implementation of the concept, the degree of economic benefits have varied (Kalyuzhnova, 2008) and did not occur simultaneously between states. Yet, despite the differences, every Caspian Sea littoral state has exploited resource nationalism. Perceived obstacles and anxieties from the perspective of an IOC must be alleviated, though. While the landscape of the industry has changed when compared to earlier standardised dealings, every sector possesses its own relevant and associated risks. Resource nationalism should, in fact, be better received by IOCs, because the amorphous and adaptable nature of the concept can be adjusted to a mutually beneficial relationship. While monetary returns generated from petroleum windfalls may not be as high as before, significant gains are still possible. Moreover, related operations and diversification of investment portfolios present vast opportunities for the widening of economic interactions rather than being isolated to a single industry. All the Caspian states have much to learn from each other and their proximity to the largest lake in the world in the advent of globalisation decreases distances, bringing the states even closer to one another. Resource nationalism is positioned to flourish into the future. * Rauf Mammadov ([email protected]) is currently a Resident Scholar on energy policy at the Middle East Institute (www.mei.edu) in Washington, D.C. He focuses on issues of energy security, global energy industry trends, as well as energy relations between the Middle East, Central Asia, and South Caucasus. Prior to joining MEI, Mammadov held top administrative positions for the State Oil Company of Azerbaijan (SOCAR) from 2006 to 2016. In 2012, he founded and managed the United States Representative Office of SOCAR in Washington, D.C.
Akiner, S. (ed.). (2004). The Caspian: Politics, Energy, and Security. London and New York: Routledge. Dzardanova, S. (2010). “Resource Nationalism Trends in Turkmenistan, 2004 – 2009”. Available online: https://www.fni.no/russcasp/WP-Dzardanova-Turkmenistan.pdf (Last Retrieved: March 14, 2016). Gohari, N. (2012). 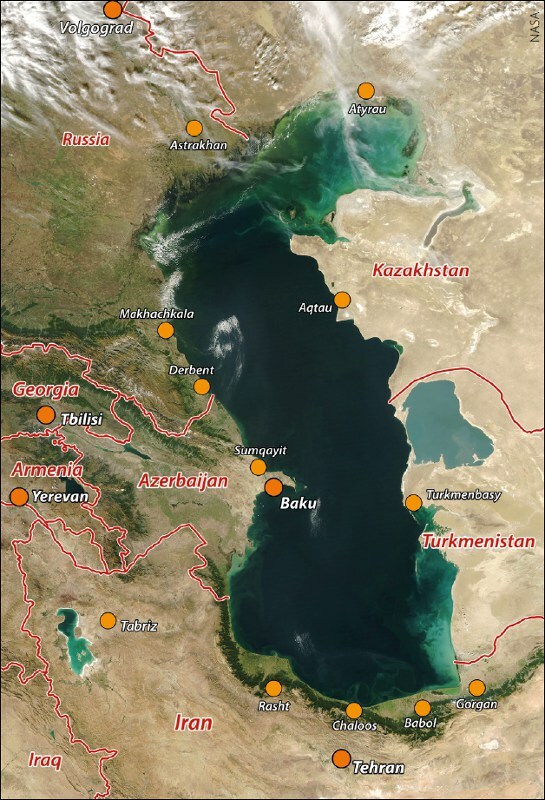 Resource Nationalism in the Caspian Sea: Azerbaijan and Kazakhstan. London: Global Risk Intelligence. Gojayev, V. (2010). “Resource Nationalism Trends in Azerbaijan, 2004 – 2009”. Available online: https://www.fni.no/russcasp/WP-Gojayev-Azerbaijan.pdf (Last Retrieved: March 22, 2016). Hasanov, H. (2016). “Turkmenistan to Form Oil and Gas Company”. Available online: http://en.trend.az/casia/turkmenistan/2478389.html (Last Retrieved: April 7, 2017). Kalicki, J. H. and Goldwyn, D. L. (eds.). (2013). Energy and Security: Strategies for a World in Transition. Washington, D.C. and Baltimore: Woodrow Wilson Centre Press and Johns Hopkins University Press. Kalyuzhnova, Y. (2008). Economics of the Caspian Oil and Gas Wealth: Companies, Governments, Policies. London and New York: Palgrave Macmillan. Karagiannis, E. (2002). Energy and Security in the Caucasus. London and New York: Routledge. Kennedy, R. and Nurmakov, A. (2010). “Resource Nationalism Trends in Kazakhstan, 2004 – 2009”. Available online: https://www.fni.no/russcasp/WP-Nurmakov-Kennedy-Kazakhstan.pdf (Last Retrieved: October 15, 2015). Overland, I., Kjaernet, H., and Kendall – Taylor, A. (eds.). (2010). Caspian Energy Politics: Azerbaijan, Kazakhstan, and Turkmenistan. London and New York: Routledge. (No Author Indicated). (2016). “Turkmenistan has Established Turkmen National Oil and Gas Company”. Available online: http://www.oilgas.gov.tm/en/blog/116/turkmenistan-has-established-turkmen-national-oil-and-gas-company (Last Retrieved: April 7, 2017). (No Author Indicated). (2015). “Business Risks Facing Mining and Metals 2015 – 2016”. Available online: http://www.ey.com/gl/en/industries/mining---metals/business-risks-in-mining-and-metals-old-2 (Last Retrieved: April 7, 2017). What has been the impact of recent political developments in North Africa on the oil and gas industry?